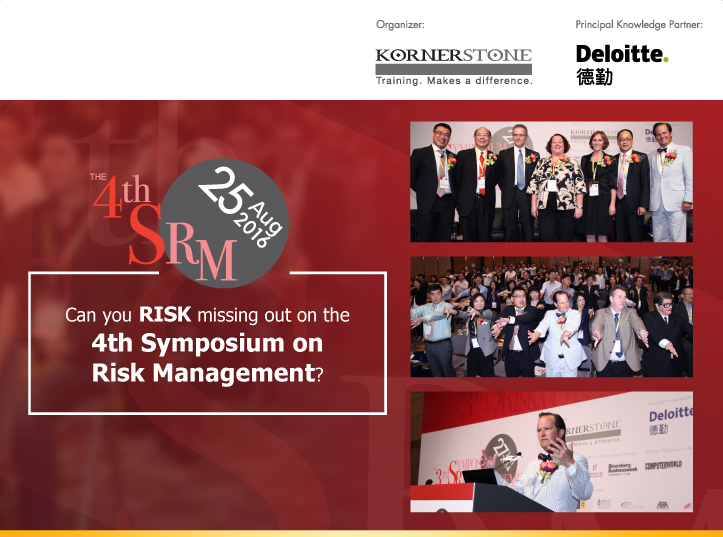 Pencil in Thursday 25th August 2016 now and join other IT leaders to attend the 4th Symposium on Risk Management at Hong Kong Convention and Exhibition Centre. FinTech Development and Risk Management? Cyber security implications for cloud adoption? Key in the promo code "PSA3T" to enjoy 30% discount on all ticket types.